and instructions and tutorials on how to send your portfolio to me. "How to Prepare for a Portfolio Evaluation, without losing your mind!" and our "Checklist." As soon as I receive your Contact Form I will email to you a payment request using PayPal. for this, and other important notifications! Payment for online evaluations must be made PRIOR to my reviewing portfolio. 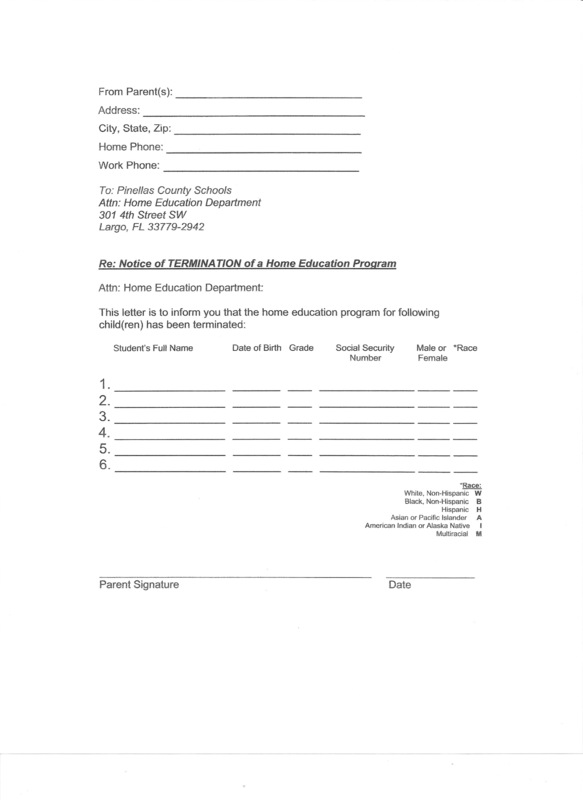 To begin this process, you must fill out a Contact Information Form. This form can be found on the Contact page. There are several tutorials built in to this page. Click on them for assistance. Why do FLVS Evaluations cost more? teacher gets paid either way. NOTE: I do VERY few of these, and only for previous clients that are regulars. Now that we live on a yacht in a marina, I will not be increasing this number. 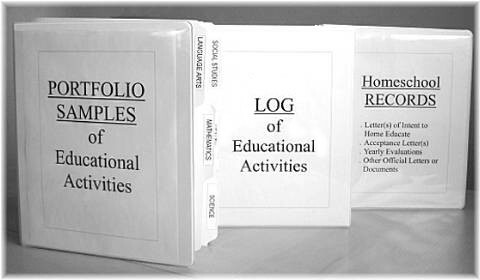 Includes a thorough examination of the portfolio and discussion with the student and the parent. The Evaluator will use our "Checklist" to determine that all essential state requirements have been satisfied. (Download your copy on the right side of this page! I will have my own, but this will help you to get organized.) If the portfolio and interviews are satisfactory and payment is received, the parent will be handed a "Certificate of Review" letter, (which will also be emailed directly to your county liaison so you do not have to worry about a thing!) It is strongly suggested that the parent view the power-point, "How to Prepare for a Portfolio Evaluation,without losing your mind!" (also on the right side of this page) so that you will be prepared. Have your students bring a book to read to me. (They will only have to read a paragraph or a page.) They will also be asked some very easy, non-academic type questions. Easy breezy stuff! ALL work samples need to be ONLY from the current school year. We are evaluating a ONE YEAR period of homeschooling, no matter which month you began schooling. Jan ➔ Jan, June ➔ June, etc. Prior to your evaluation, Go to our "Contact" page and fill out the "Contact Info Form" so I will have all the info I need to fill out the necessary paperwork. You also need to hit the PayPal option at the top of this Services page so this is in place prior to the reviewing your portfolio. If you have not officially registered with the county, you need to! Join the ranks of proud homeschoolers in our area. 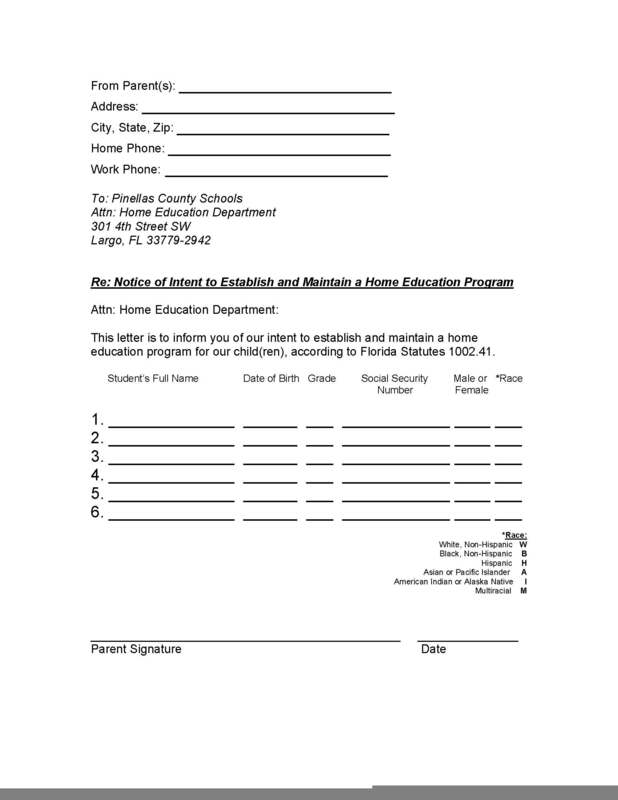 Just print off, fill out and mail the, "Letter of Intent" we have for you here and you are "Good to Go!" These types of evaluations can be very short for YOU because I review the portfolio ahead of time, so only a brief interview is necessary when we connect. (I hate having to make someone wait while I review a portfolio in person! This online option allows me to give you a more in-depth assessment, and doesn't waste your time.) Once you get used to pulling aside those work samples throughout the year and slapping them in a file on your computer, evaluation time becomes a breeze! But even if you aren't as prepared as you would like, this is still a great option. These online portfolio evaluations are for those who are out of our area or ANYONE (registered in FL) who may just find this to be a more convenient option. ONCE I have completed the review, I will contact you (usually by email - so CHECK YOUR EMAIL!) then we can plan a time to meet online for the interview portion. In order to accomplish this type of evaluation, you must have the ability to use ONE of these options: FaceTime, Skype, Facebook Messenger (video option). You can use your iPhone or iPad or computer for the interview portion, or you can borrow any of those items from a family member or friend to use for this purpose. I'm sure they would be happy to be a part of the educational success of your family! 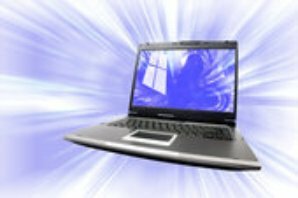 If your computer doesn't have a built in camera and you want to get one, you can purchase one very inexpensively at a store such as "Best Buy." This part is very important... If you have never used Skype or FaceTime, etc., do a trial run with someone prior to our scheduled interview time so you can be SURE you are comfortable using the system you chose. It is best to contact request ME (Carleen Galiardo) and add me as a contact BEFORE our interview so that we can establish that connection easily when it's time. Don't wait until it is time for our interview to try to figure out how to use FaceTime, Skype, Facebook Messenger video, or we may have to reschedule. ALL work samples need to be ONLY from the current school year. We are evaluating a ONE YEAR period of homeschooling, no matter which month you began. Jan ➔ Jan, June ➔ June, etc. each page to load/ open. next page. It's the best! point to me as a PDF. and "Save" it as a PDF file. You might not be "tech savvy" and think these methods are too difficult for you, but just follow the directions step by step and you will find you CAN do it! If we expect our students to learn new things, we need to show them-we can too. I am no longer accepting portfolios via multiple emails. The problem with this method is that it seriously clogs up my email and ends up just bouncing those items back to you. If you can scan a document- then you certainly use one of the methods above. Give yourself a little pep talk and give it a try! Other important items the evaluator will need to see, such as 3 samples of the Daily Log, are listed on our "Checklist" which can be found on the right side of this page and downloaded. (Send only 3 pages from the Daily Log, one each from the beginning, middle, and end of the current year.) -Check out our new "Daily Log Template" on our "Links and Resources" page under "Educational Tools." All samples received will be handled in a professional manner with the utmost respect for your privacy. REMEMBER... Check that YOU can read the scanned copies that you are going to send me. Are they upside down? Blurry? Too tiny to read? The "Certificate of Review" will be emailed to the parent (when payment is received,) and will also be emailed directly to your Homeschool County Liaison, so you don't have to do a thing! Please note that, by law, this evaluation process must include an interview with the student, so please make sure your student(s) is/are available to answer a few very simple questions and also read aloud to the evaluator a small sample of one of their favorite books (assuming they are old enough to read.) Encourage them to share with me anything they have accomplished this year that they are especially proud of. This may be a special project, an award, or a difficult goal that was met. I LOVE talking with students! For more info, read my blog post on Online-Evals. Go to our "Contact" page and fill out the "Contact Info Form" so I will have all the info I need to fill out the necessary paperwork.You also need to hit the PayPal option at the top of this Services page so I can get started reviewing your portfolio. For your convenience, we now have a template for the (required) "Daily Log." Find this on the "Links and Resources" page, under the "Educational Tools" section st the bottom of the page. Feel free to contact us with any questions prior to your appointment... and DON'T pull out your hair! The first choice below is the best quality (pptx), but if you can't open that one, the one below that should work (pdf). Contact me if neither will work for you! When viewing power-point, be sure to notice the items "required by law." If this is your first time preparing a portfolio, don't worry if it's not perfect. We are here to help you learn. You'll be a pro in no time! This power-point is under the protection of copyright laws. What items/paperwork need to be provided for the evaluation if the student is enrolled in FLVS? -If you have it, I would like to see a current copy of the student's transcript showing their classes and grades. Next, we are looking for a page (one per subject/ course) that can serve as a "Daily Log." This is the page that shows the date you submitted your assignments. 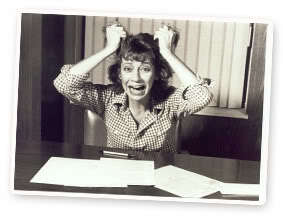 It may be under, "Gradebook" on the FLVS site- then go to the "Summary." -a list of any textbooks that were used in the online classes (if any). Most FLVS online classes do not utilize a textbook, so these may not be available. If not, we'll just list the curriculum as, "FLVS." -work samples- For EACH subject, submit one sample from the beginning of the current year, one from the middle of the current year, and one from the end of the current year. (Remember, I have to determine that your student is progressing!) You can also submit photos or videos of any special projects. Do NOT send me FLVS "Course Descriptions" or long assignment explanations.This is NOT student work and I don't need to weed through any unnecessary paperwork. _It makes me crazy. Parents and older students NEED to set a date on your calendar, or set up for yourself in advance, an automatic free ecard reminder three times throughout the year so that you can download a sample of student work at that time and file it away in your DropBox or load it onto your private blog in anticipation of your end of the year portfolio review. You may have downloaded assignments/ essays to a file on your computer, so please explore that possibility.